Among those picked by President Obama to receive the Presidential Medal of Freedom, including such luminaries as Stevie Wonder, Meryl Streep, and Tom Brokaw, is one whose presence is worth noting here in the NPQ Newswire: Suzan Harjo. Part Cheyenne and part Muscogee, Harjo is the former executive director of the National Congress of American Indians (NCAI) and the former White House liaison to Congress for Indian issues under President Jimmy Carter. 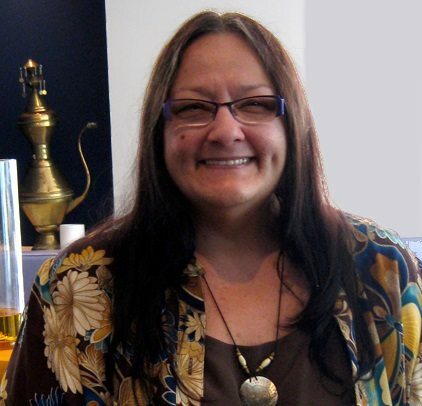 She currently serves as president of the Morning Star Institute, a small Indian rights organization based in Washington, D.C.
For NPQ, one special dimension of the importance of Harjo on the list to receive the nation’s highest civilian honor is her role in objecting to the racially disparaging name of the Washington NFL team owned by Daniel Snyder. She was a leader in the lawsuit filed in 1992 to get Snyder’s team to change its name. Her name was on the lawsuit that went through the Court of Appeals but was ultimately rejected by the U.S. Supreme Court in 2006, resulting in the continuation of the team’s very troubling name. Although Snyder has dismissed his critics as somehow misguided, failing to appreciate the honor and respect he thinks the team’s name shows to Native Americans, Harjo’s case was not only supported by the National Congress of American Indians, but the legal team for the case included the highly respected Native American Rights Fund (NARF). In 2013, a new group filed suit along the same lines as in Harjo et al. v Pro Football Inc., and so far, Blackhorse et al. v Pro Football Inc. has succeeded in getting the trademark protection for the Washington NFL team’s racial slur removed, though Snyder is appealing. “Blackhorse,” it should be noted, is Amanda Blackhorse, a Navajo who was recruited by Harjo for the new case. Do recall what defeated Harjo in her case. It wasn’t the merit of whether the name of the team was a racial slur. It was the legal concept of “laches,” or whether the plaintiffs waited too long in bringing the case. Given the array of plaintiffs in Blackhorse, Snyder and the NFL may not be able to use the laches defense this time around, which will make the appeals deal with the substance of the case—that is, the plaintiffs’ ability to demonstrate that the team’s name really is disparaging to Native Americans—rather than a legal technicality. One might wonder if the Native American beneficiaries of grants and assistance from Snyder’s ersatz Original Americans Foundation will be called on to offer testimony that the name of the team is somehow really an honor. Truth be told, Costas might not have made that statement last year had it not been for the activism of Harjo and her allies. It is sad that this nation waits for non-minorities to validate and legitimize the concerns of African-Americans, Latinos, and in this instance, Native Americans before giving them their due. Also awarded the Presidential Medal of Freedom, albeit posthumously, were three civil rights workers—James Chaney, Andrew Goodman, and Michael Schwerner—who were killed during “Freedom Summer” in 1964 by members of the Ku Klux Klan. Read more about them here.